There are many resorts in and around Bandipur which are mainly known for its forests. Get to know which resorts are in and near Bandipur. 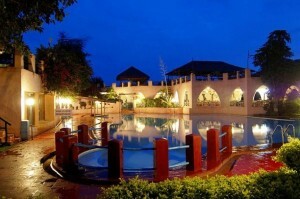 Cicada Resorts is part of a group of wildlife resorts established by the Coffee Day chain. Cicada is a luxury resort in Bandipur that provides a unique experience along with all the luxuries expected in a high class setting. The resort, located in Bandipur, provides the unique experience of living in the middle of one of the most beautiful wildlife sanctuaries in India. This resort is eco-friendly and leaves minimal footprints on the environment.